2 Rogers Row01263 715779work01603 870304fax Self-cateringThis pretty terraced cottage has been tastefully refurbished and renovated yet retains its historic appeal. Only a short walk from the local village amenities, this property provides a relaxing and peaceful break. There are many attractions in the surrounding area, including sailing, golf and nature reserves. The superb Holkham beach, where beautiful coastal paths can be explored, is only three miles away. • Other: Bed linen provided also local guide books, books and game. Please note: There is a right of way along the rear walkway, across the length of the terrace. Property has steep stairs. 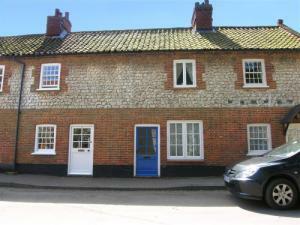 This pretty terraced cottage has been tastefully refurbished and renovated yet retains its historic appeal. Only a short walk from the local village amenities, this property provides a relaxing and peaceful break. There are many attractions in the surrounding area, including sailing, golf and nature reserves. The superb Holkham beach, where beautiful coastal paths can be explored, is only three miles away.